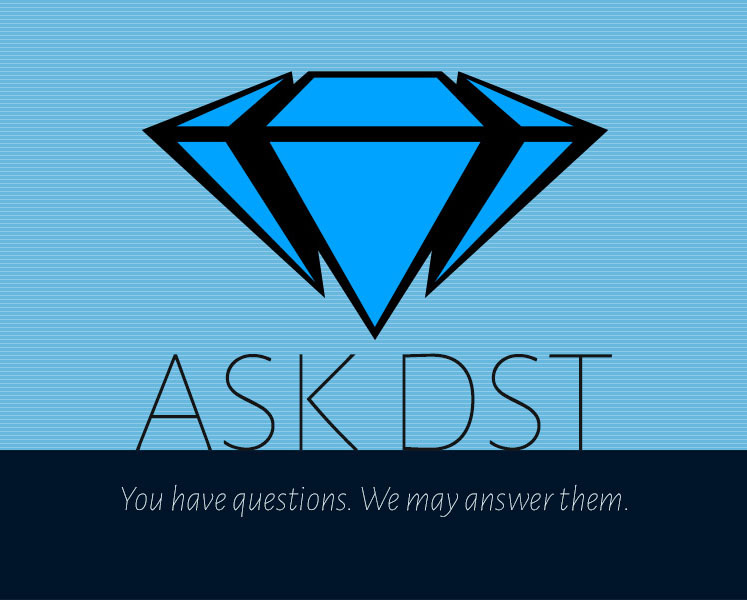 The countdown to Ask DST #700 begins now, with a new Ask DST that’s all about Marvel! Diamond Select Toys president DSTChuck is answering your questions about Marvel Select figures, Marvel Gallery PVCs and Marvel Premier Collection Statues, and you may be surprised at his answers! Read on to see if your question was answered, then submit it in the drop-down menu above or e-mail him! I’m writing to ask that you please consider releasing Black Widow as part of the Marvel Gallery Diorama series. A rendition from the comics would be awesome, but the MCU version is perfectly fine. A resin statue from the Premier Collection would be even better! She would go well along side my Spider-Gwen. DSTChuck: I think for sure we will get to Black Widow in ALL our lines, sooner rather than later. Hello from Argentina! First of all, I want to thank you for the Spectacular Spider-Man figure, I can`t stop staring at him! That Peter Parker face sculpt is prefect! You knocked it out of the park with that one! Congratulations! Speaking of Spidey, have you any plans to release a Spider-Gwen action figure? Or Miles Morales? I really hope you do! About the X-Men line, how about a comic book version of Rogue? (love the Cable btw, another perfect figure) and a comic book Old Man Logan? (I already pre-ordered the statue, looks awesome!) Captain Marvel Carol Danvers is another figure I hope to see in the near future. Thank you for your time to answer our questions, and keep up the good work! DSTChuck: Glad you like it. Yes, we will be releasing a Spider-Gwen Select in 2017. Rogue has been on our short list for Select for some time – I assume it will happen at some point. Hi gang! I am the Marvel Gallery’s biggest fan :) Just picked up your Medusa, Spiderman, and Hulk. You guys are getting better with each release! I have just seen your Marvel Select Guardians of the Galaxy team diorama. I would love to see some group dioramas in the Gallery line. As you may know, statue collectors LOVE dioramas with matching bases. I have also just seen the Phoenix solicit. Looks great! Really happy to see the X-men finally represented. Would love to see more of the X-ladies. X-23, Psylocke, Jubilee, Dazzler, Rogue, Magik, Moonstar….well all of them would be most welcome!! I would also love to see a couple villains thrown into the mix. As for X-villains I would recommend Apocolypse, Mr. sinister, and Magneto. All of Spidey’s rogues would be welcome. DSTChuck: Jeff, I am glad you like the line, it’s really been fun to work on. At this time we do not have any plans for linked bases. Some that are thematically linked, like the Netflix line, make sense. That does not mean we will not do something linked in the future. For sure we’ll be doing more X-men. Hey Chuck! Can you please tell me in a round about way how you guys come up with the complicated method in which you decide which Marvel Select figures make the cut each year? I have been trying to crack the code for some time now, and I have continuously failed! So, I’ll keep these questions to a simple yes or no. Black bolt? Any other Inhumans? Miles Morales? Ice Man? Beast? Vision? Ms. Marvel? Iron Fist? Cage? Up dated Dr. Doom? Kraven? Silk? Scarlet Spider? Female Wolverine? Thanks for taking the time to answer my questions. Hope I was at least right on one of these. DSTChuck: Rodney, I set up a dart board in my office with pictures of the characters we are considering, and I throw several darts while I have a blindfold on and BINGO! It is unlikely that one of the figures on your list will be made as a Select figure in 2017. Still really hoping for a Marvel select Angel and Beast but just wondered if/when you made an Angel figure what version do you think you’d go with, Angel with feather wings or Archangel with metal wings? I think a feathered Angel would fit best in with the X-men that have been released but wonder what your take would be on it. DSTChuck: Angel and Beast have been considered, and I would expect would get made at some point, however I do not know which version, since we’re not at that point yet. Just prefacing saying that I love your MCU figures (though I have cracked and bought Hawkeye and Deadpool as well) and that I look forward to seeing the releases from Spidey, the Guardians, and Ragnarok later this year. Quick question, but why did the Civil War Iron Man figure not come with a Tony Stark head or blasts of any sort? I’ve been waiting a while to get my hands on a movie Iron Man but those were deal-breakers for me. For Civil War, having those blasts could’ve been great to recreate some fight scenes with Cap. Do you know if there will be another movie Iron Man released sometime in 2017 or 2018? Also, just gonna put in my support for some Netflix Selects! I’d love to own a great MCU Daredevil/Punisher/JJ figure! Best regards and thanks in advance! DSTChuck: The maskless heads take a good bit of time to get approved, and often they are not ready in time. So we offer them to the Disney Store, or we just opt not to release them, so it’s different each time. At this time, we have no plans to go back and make figures from past movies. As for Netflix, that is an evolving situation, but we have already showed Daredevil! Hi, are there any plans to make daredevil from Netflix daredevil Season 2? DSTChuck: Yes, we showed this figure at Toy Fair. First off …I’m a huge fan and consumer of your products. Just preordered the new Guardians of the Galaxy set through Marvel shop. But I have just one small request– can you please make a movie or comic book version of Ronan the Accuser. Preferably the movie version. I guarantee that it will sell big time with the fans and collectors of Marvel Select and Marvel Legends. Thanks for your time and keep killing it in the collectibles game. DSTChuck: There are no plans at this time, but never say never. A couple of questions I would love to have answered if you would be so kind. 1. Will we ever see a Maestro Hulk, Planet Hulk and Joe Fixit (in full 3-piece suit) in the Marvel Select line? 2. Is Korg a possibility? 3. Will we see an updated and/or movie Thanos? 4. Is super skrull a possibility – you guys would knock that out of the park! 5. Will we ever see a figure bigger than the current biggest hulk select? Thanks for making the best Marvel figures around, you rock. 2)	I do not think so at this time. 3)	I would think it’s very possible. 4)	No plans at this time. 5)	I think we’ve pretty much maxed out what will fit in that package! I would love if your great company made a Marvel Select version of Spiral, villain of the X-Men!!! From the MOJO verse! I think y’all could really create a great version that does her justice! Thanks for your time! DSTChuck: Sorry, there are no plans at this time. I have a few of your Marvel Gallery statues that have come out including the Spider-Gwen, Captain Marvel and Deadpool. I really like the sculpts and I am planning on getting more. I have ordered the Phoenix (Jean Grey) which is due in around July and can’t wait. It looks amazing. Are you going to be doing other women of Marvel in the coming months? I would really like a Rogue, Black Cat, Storm and a few others from the Gallery line. DSTChuck: The Gallery line is doing very well, and we have no plans on stopping at this point, as long as fan support is there. I also think the centerpiece to the line is the females, so I think some of the ones you suggest will be done sooner rather than later. Got a question for DSTChuck! Submit it in the drop-down menu above or e-mail him! 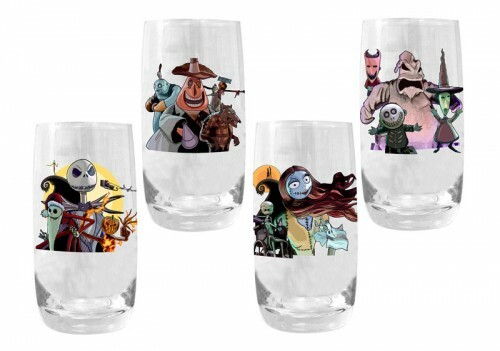 Next Up: Drinks Are On DST at Your Local Comic Shop!